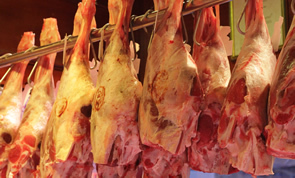 Rawlings Butchers is a family run shop supplying top quality traditional meat for over 30 years. We pride ourselves on the provenance of our meat. 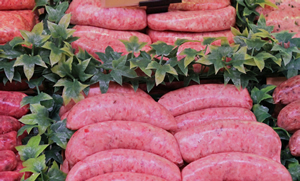 Carefully selected local suppliers ensure we only sell the best meat available, giving way to our excellent reputation throughout west sussex & surrey. Our ‘Good to Go’ range includes chicken Kiev’s, beef wellingtons, chicken mini roasts, Parma ham wraps and Italian pork fillet roll all ready to go straight in the oven. Our deli has an interesting selection of cheese and cooked meats from around the world! Home made Pies with real meat! What could be better? made with skill, care and attention to detail by our in house chef’s Winning numerous awards we have an excellent range of pie’s using where possible local meat and produce. Game is generally available throughout the year and especially during the autumn months. 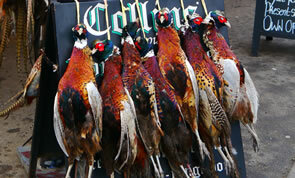 We are lucky enough not to rely on a middle man, Mr Rawlings shoots himself and brings in a steady supply of fresh pheasant, mallard, partridge and even the odd woodcock! 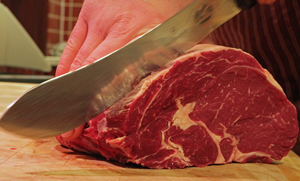 Rawlings of Cranleigh are now introducing butchery classes for beginners at our shop in Cranleigh. Learn basic Butchery Knife skills and trader knowledge perfect for the amateur butcher or keen cook. We also provide outside catering, if you need a Hog or Lamb Roast or even a BBQ we have the staff and the knowledge to make sure your occasion has the finest of foods. You will always know where your Scotch Beef has come from, full traceability provides peace of mind from field to fork. Supporting british lamb farmers is vital, which is why we source local top quality Lambs produced on Bonhurst Farm in Bramley. Chickens given every bit of space and freedom you would expect are full of flavour and succulent just like chicken used to taste! Game is generally available throughout the year and especially during the autumn and winter months. The Deli has a selection of cheeses from around the world, working closely with our suppliers ! We pride ourselves on the provenance of our meat. 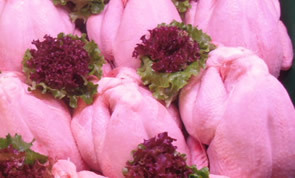 Carefully selected local suppliers ensure we only sell the best meat available, giving way to our excellent reputation throughout west sussex & surrey. Rawlings Of Cranleigh is a family run business established in 1982. Rawlings of Cranleigh also provides outside catering, if you wanted a Hog or Lamb Roast or even a BBQ we have the staff and the knowledge to make sure your occasion has the finest of foods. Proprietor Mr Robert Rawlings has had a lengthily career in the butchering trade and prides himself on the quality of the meat that is sold from the shop and his expertly trained staff. In the shop you will find an extensive range of traditional classics, from your Roast Beef to your Pork Steaks. 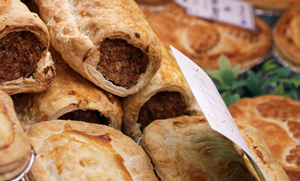 A large range of speciality dishes such as Beef Wellingtons and Chicken Cushions. Rawlings of Cranleigh by Love Your Marketing © 2012–2019. All Rights Reserved.